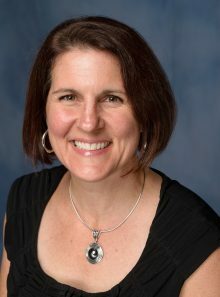 Dr Heather Hardin joined the School of Nursing at Walden University as a Contributing Pharmacology Faculty in 2018. She received her Doctor of Pharmacy degree from the University of Florida in 2005 and is a Board Certified Ambulatory Care Specialist. After graduation, she enjoyed serving her community as a Pharmacy Manager for Publix Pharmacy and was proud to be one of the pharmacy’s first immunizing pharmacists. In 2010, Dr Hardin, as a Clinical Assistant Professor, became one of the founding faculty of the University of Florida College of Pharmacy’s Medication Therapy Management (MTM) Center. Working with students and mentoring others have always been Dr Hardin’s passions. She served as the PGY-1 Pharmacy Residency Director at the UF MTM Center, where she also precepted student pharmacists during their clerkships at the center. In addition to her clinical activities, Dr Hardin taught Medication Therapy Management and Pharmacy Practice Management within the UF PharmD and MTM Master’s Degree curriculums. She also serves the pharmacy profession by being active in local and national pharmacy organizations and is the past President for the Alachua County Association of Pharmacists. Currently Dr Hardin is the Owner and CEO of a Pharmacy Consulting/Health and Wellness company called Halo Health Services, which provides life and health counseling to individuals wanting to live a healthier more holistic life. Hardin, H., Hall , A., Roane , T. (2012). An Advanced Pharmacy Practice Experience in a Student-Staffed Medication Therapy Management Call Center. American Journal of Pharmacy Education. Connelly , A., Patel , A., Hardin, H., Salo , J., Golub-Neff , K., Segal , R. (2017). Analyzing the success rates of pharmacist interventions in resolving medication therapy problems at University of Florida’s Medication Management Center. Journal of Managed Care Specialty Pharmacy. Hardin, H., Salo, J., Mobley, L. (2013). Conducting the Comprehensive Medication Review. Hardin, H., Salo , J. (2017). Conducting the Comprehensive Medication Review. Roane , T., Patel , V., Hardin, H. (2014). Discrepancies Identified with the Use of Prescription Claims and Diagnostic Billing Data Following a Comprehensive Medication Review. Journal of Managed Care Specialty Pharmacy. Miller , D., Roane , T., Salo , J., Hardin, H. (2016). Evaluation of Comprehensive Medication Review Completion Rates Using 3 Patient Outreach Models. Journal of Managed Care Specialty Pharmacy. Hood , E., Hardin, H., Segal , R., Fennelly , K. (2015). Evaluation of patient perceptions of their health condition and beliefs about medications before and after pharmacist-provided Medication Therapy Management services in Nontuberculous Mycobacterial Lung Disease. Journal of Managed Care Specialty Pharmacy. Naboulsi, M., Hardin, H., Behar-Horenstein, L., Su, Y., Segal, R. . Impacting Student Self-Efficacy and Beliefs of Medication Therapy Management through a 2-Week Elective. American Journal of Pharmacy Education. Whalen, K., Hardin, H. (2017). Medication Therapy Management: A Comprehensive Approach, 2nd Edition. Whalen, K., Hardin, H. (2017). Overview of Medication Therapy Management Data Sets. Hardin, H., Hood , E., Narkiewicz , L., Roane , T. (2014). Student Perceptions Before And After A Medication Therapy Management Advanced Pharmacy Practice Experience. American Journal of Pharmacy Education. Hardin, H. (2011). A Pharmacy Student-Staffed Medication Therapy Management Call Center. University of Florida’s Medication Therapy Management Center. Hardin, H. (2017). Addressing the Needs of an Uncoordinated Care Population: A Success Story of Pharmacists and Case Managers Working In Tandem to Make a Difference. American Pharmacists Association. Hardin, H. (2013). Clerkship Forum for Incoming Advanced Pharmacy Practice Experiential Students. Florida Society of Health-System Pharmacists and Rho Chi at University of Florida College of Pharmacy. Hardin, H. (2011). Delivering Medication Therapy Management Services in the Community: APhA MTM Certificate Training. Univ of Florida Medication Management Center. Hardin, H. (2011). Delivering Medication Therapy Management Services in the Community: APhA MTM Certificate Training. Univ of Florida MTM Center. Hardin, H. (2013). Delivering Medication Therapy Management Services in the Community: APhA MTM Certificate Training. Univ of Florida MTM Center. Hardin, H. (2014). Delivering Medication Therapy Management Services in the Community: APhA MTM Certificate Training. Univ of Florida. Hardin, H. (2016). Delivering Medication Therapy Management Services in the Community: APhA MTM Certificate Training. Univ of Florida. Hardin, H. (2011). Managing a Student-Staffed MTM Service. Maryland Pharmacist Association. Hardin, H. (2014). Medication Therapy Management and the Importance of Pharmacists’ Provider Status.. University of Florida College of Pharmacy. Hardin, H. (2010). My Pharmacy Experience and Life Journey (Focus on Professionalism). Univ of Florida College of Pharmacy. Hardin, H. (2013). Successes of a Student-Staffed Medication Therapy Management Communication and Care Center. American Association of Colleges of Pharmacy. Hardin, H. (2012). The University of Florida Medication Therapy Management Call Center: A Patient Care Business with an Educational Mission. University of Florida’s Medication Therapy Management Center. Hardin, H. (2010). The University of Florida Medication Therapy Management Center Experience: 2000 Calls Later. University of Florida College of Pharmacy. Hardin, H. (2011). The University of Florida Medication Therapy Management Center Operations. University of Florida’s Medication Therapy Management Center. Hardin, H. (2012). The University of Florida Medication Therapy Management Communication and Care Center: A Communication Business—Messages That Make a Difference. University of Florida’s Medication Therapy Management Call Center. Hardin, H. (2012). UF MTM Communication and Care Center Practice Model, Successes, and the Future. Maryland Pharmacists Association. Hardin, H. (2010). University of Florida’s Medication Therapy Management Call Center. Univ of Florida College of Pharmacy. Hardin, H. (2011). University of Florida’s Medication Therapy Management Call Center. Univ of Florida College of Pharmacy. Hardin, H. (2014). Utilizing a Unique Direct Experiential Learning Method to Educate 4th Year Pharmacy Students on the World of the Elderly Patient. American Association of Colleges of Pharmacy.